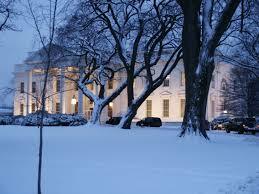 Jabajak Vineyard’s link to the White House in Washington. It is well documented that five of the first six presidents of the United States of America were of Welsh ancestry. Probably the most famous of these were Mr John Adams – the second president of the United States and very first occupant of the White House, and his son, Mr John Quincy Adams – the sixth president who helped turn the tide against slavery. These powerful men were the grandson and great-grandson of a simple yeoman farmer’s son from Llanboidy in west Wales, called David Adams, who (before emigrating to America to seek his fortune) grew up as a tenant farmer on the drover’s farm that was part of the Banc-y-Llain and subsequently Jabajak estate. It is known that when the US President’s office was built in Washington, it was not white, and was not called the White House. Existing documentation indicates that the ‘White House’ was given its present name during the presidency of John Adams, as a nickname, long before it actually changed colour. Locally, we believe we know exactly why this was. When David was growing up in west Wales, the farmhouse was the family home and, which would mainly have consisted of grey stone barns and cottages. However, the main owners house itself was white – and, in fact, it states in the deeds of Jabajak’s main house that it mustalways remain white. So it would be natural for farm workers to refer to it as ‘the White House’. David’s father was also called John (like his illustrious descendants), and we are sure that David would have been very proud to talk about his heritage in Wales to his grandchildren – as modern Americans enjoy doing today. We therefore believe it is utterly feasible that the familiar name ‘the White House’ simply passed down through the generations as a term to describe a building where all the important decisions are made – whether about family matters, farming…or running a nation. So is the White House named after Jabajak? We’ll let you decide for yourself!